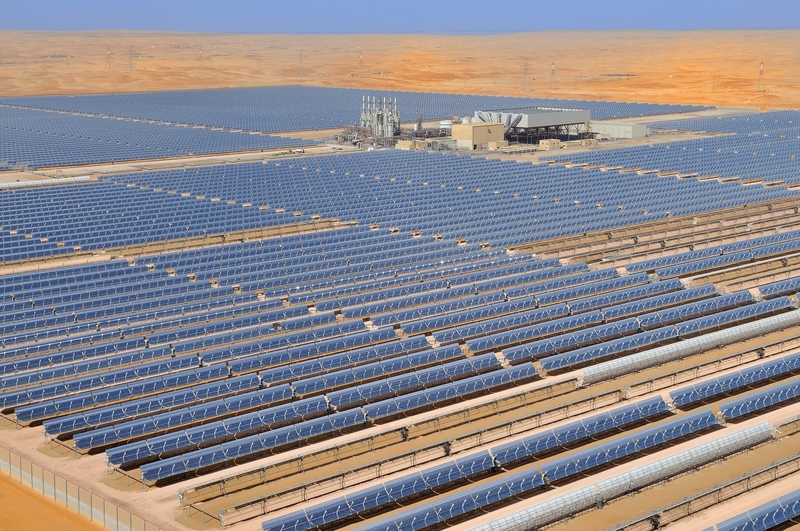 The 100-megawatt solar thermal power plant, “Shams 1”, was officially launched in Abu Dhabi last week. Heart of the plant is a steam turbine which has been supplied by MAN Diesel & Turbo and will be used to drive a generator. The eco-friendly electricity this produces would be enough to serve roughly 57,000 German households. The dimensions realized at "Shams 1" (Arabic for sun) have set new standards. Offering a gross output of 125 megawatts, MAN´s steam turbine is the largest ever built for a solar thermal power station. The custom-made machinery weighs 220 tons and was constructed in Oberhausen, Germany, having arrived on site in May 2011. "The only element in the plant that can convert energy is the turbine-generator train," explains Ole Hansen, Vice President Steam Turbines at MAN Diesel & Turbo. "It is therefore especially important to use a highly-efficient steam turbine in order to generate as much electricity as possible from the heat available." The underlying principle of solar thermics is essentially different from that of photovoltaics. Whereas solar cells convert the sun´s radiant energy directly into electricity, the parabolic mirrors used in solar thermal power stations do not in themselves constitute electrical components, but form part of a trough technology. By concentrating heat from direct sunlight onto oil-filled pipes, “Shams 1” produces steam, which drives a turbine and generates electricity. In addition, the solar project uses a booster to heat the steam as it enters the turbine, enormously increasing the cycle’s efficiency. The project also includes a dry-cooling system that significantly reduces water consumption – a critical advantage in the desert of Western Abu Dhabi. “Shams 1” features more than 258,000 mirrors mounted on 768 tracking parabolic trough collectors. It covers an area of 2.5 km², or 285 football fields and will displace approximately 175,000 tons of carbon dioxide (CO2) per year. "In the case of solar thermal power plants, the energy efficiency from sunlight to electricity is at least three times higher than with photovoltaics," confirms Ole Hansen. 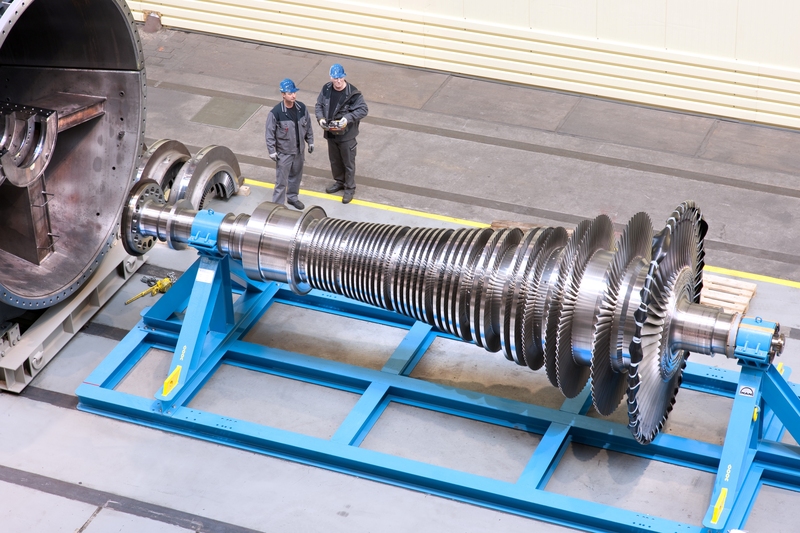 Which is why steam turbine technology is particularly suited for larger plants. 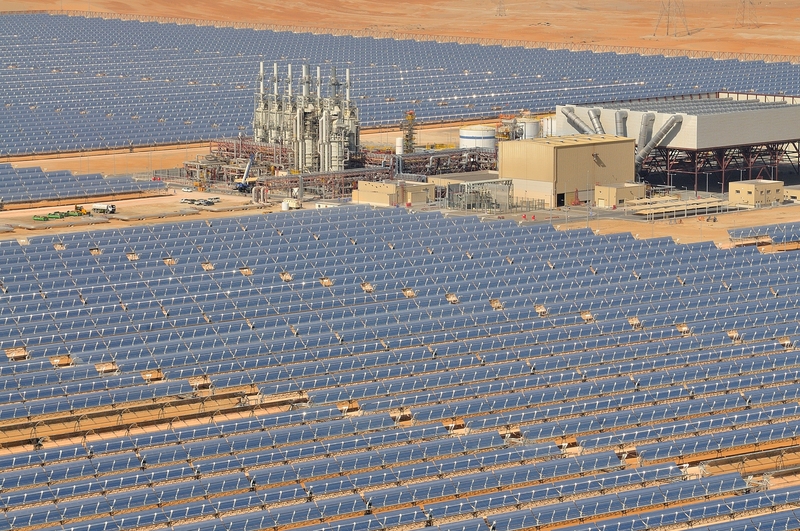 Thanks to this order from Shams Power Company –– a joint venture between Masdar, Total and Abengoa Solar –– MAN Diesel & Turbo has been able to further expand its know-how in the field of solar thermal applications. This is already the fifth solar thermal power station to be equipped with MAN´s turbine technology, the world´s first solar thermal-biomass hybrid power plant having recently gone on stream in Les Borges Blanques (Spain) at the end of 2012.